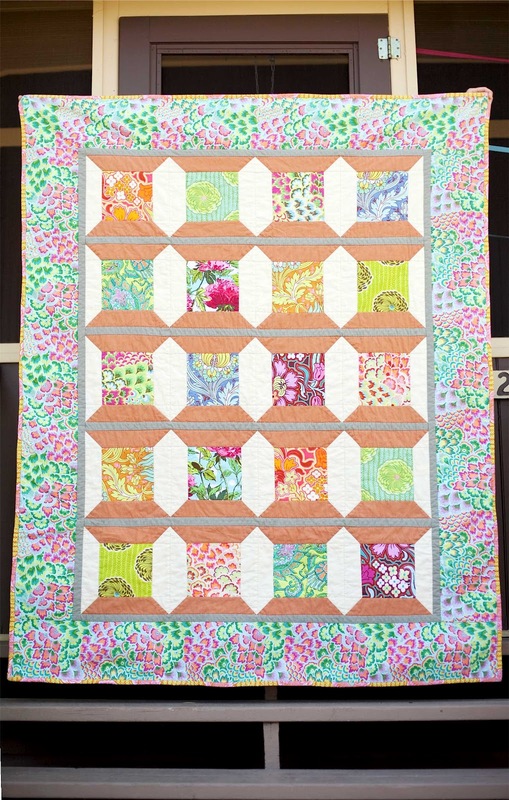 I am just "over the moon" to announce that we have a quilt pattern included in our third book, Phoebe's Birthday. 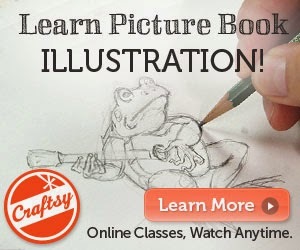 I approached Amy Butler over a year ago about providing fabric support for this new book, and her interest in the project was really inspiring to me. I first started quilting about fifteen years ago and have made dozens and dozens of quilts since. 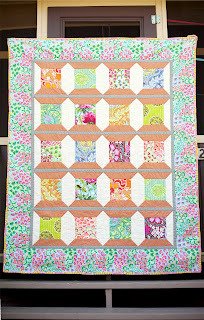 Amy Butler's fabrics are just stunning, and it was a real treat to design a quilt based around her gorgeous Soul Blossoms line of quilting fabric. I adapted a traditional spool quilt block for this pattern, and used strips of gray solids between the rows of blocks to mimic the look of spools neatly lined up on shelves. I love how the ivory background offsets the vibrant colors of her prints. Detailed instructions, including yardage requirements, cutting instructions, layout and assembly, and quilting ideas are all included at the end of Phoebe's Birthday. I have a feeling this particular quilt will end up on our daughter's bed very soon, but as for now, it is next to me here in my studio as I write, and it brings a smile to my face every time I see it. Thank you, Anne! 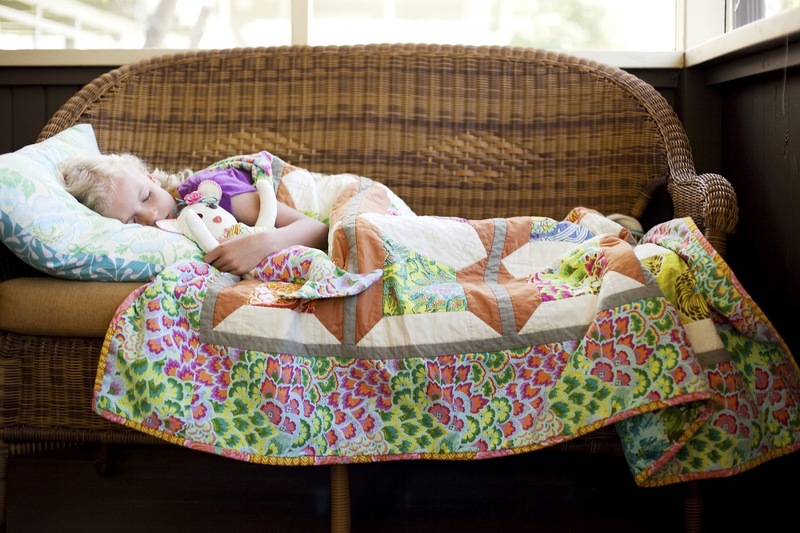 I agree- the Amy Butler fabrics are just gorgeous! Thank you, Amy's beautiful fabrics make me smile, too!